Toronto indie-pop trio Born Ruffians recently released their fifth album, Uncle, Duke & The Chief, via Yep Roc Records. Produced by Richard Swift (The Shins, Foxygen), the new album may be slightly more stripped-down than their previous efforts but they double-down on the infectiously fun sing-alongs and sparkling 60’s pop melodies for their best album yet. In support of the excellent new album, Born Ruffians has embarked on a lengthy world tour and will make a stop tomorrow at MOTR Pub in Cincinnati on Friday, March 16. 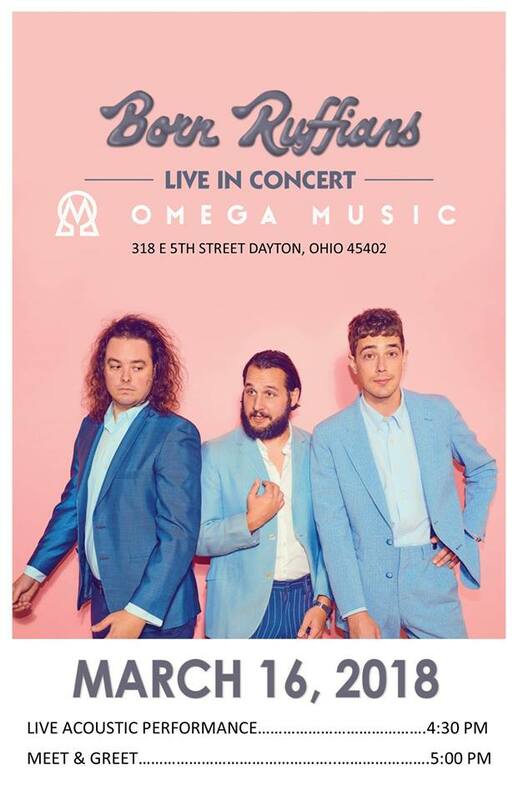 Prior to that, the band will stop at Dayton’s Omega Music record store for a special acoustic performance and meet-and-greet at 4:30 PM.